Leveraging decades of legal and business experience, The Gordian Knot offers business and corporate clients efficient, cost-effective access to services typically associated with larger traditional law firms. Your Needs Should Drive the Representation. At The Gordian Knot, the client comes first. Always. 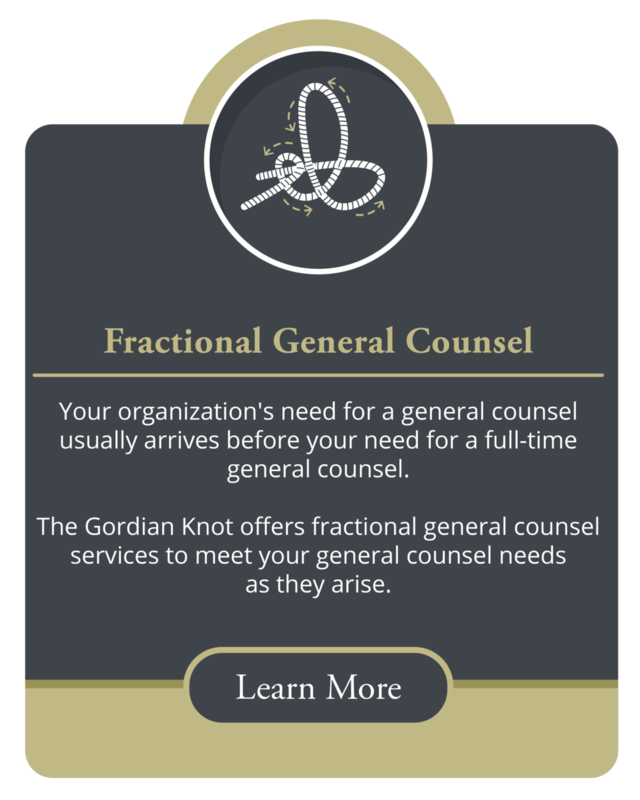 The Gordian Knot can represent you independently or partner with your existing counsel. The Gordian Knot never interferes with your existing counsel relationships. Your Lawyer Should Be a Skilled Storyteller. There is a story behind every transaction – your story. We simply don't live in a one size fits all world. The Gordian Knot leverages its business and financial services experience to tell your story in a way your lender or transaction partner will understand. 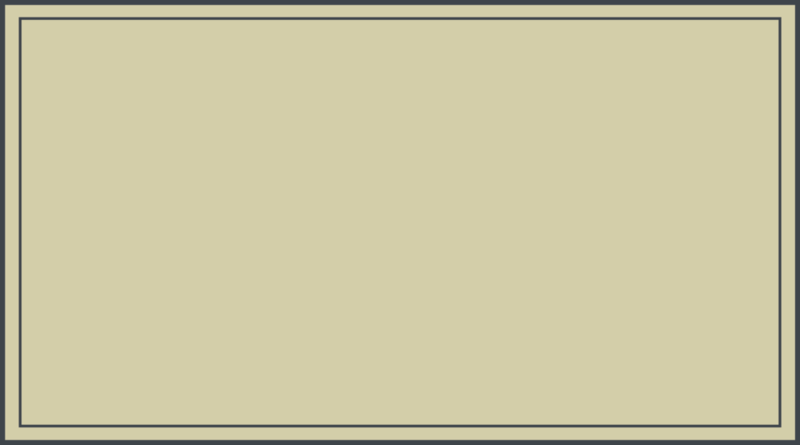 Your Lawyer Should Work for You. You Shouldn't Work for Your Lawyer. 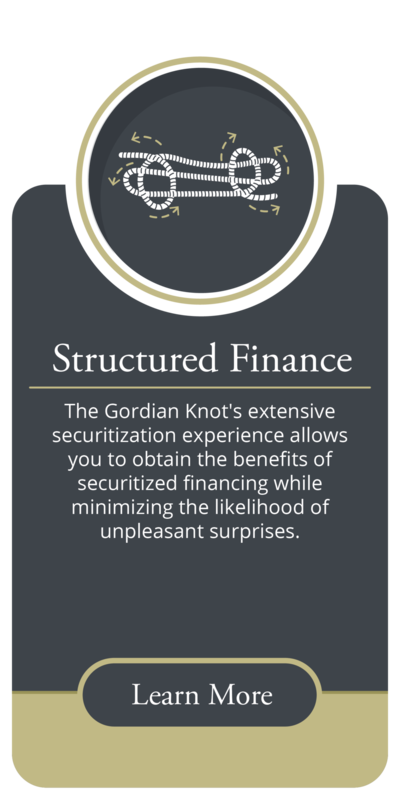 The Gordian Knot pursues a business-centric, not a lawyer-centric, approach to your transaction. After all, its your deal – not ours. The tail should never wag the dog. You Shouldn't Pay for Training Junior Lawyers or Fancy Offices. As our billing rates reflect, The Gordian Knot doesn't hire associates or rent expensive office space. Use the savings on legal fees to grow your business. On the first Friday of every month, I offer a free, two-hour consultation for the selected business to discuss its most pressing problems. I founded The Gordian Knot to offer creative and cost-effective solutions to your most pressing business problems and challenges. Mr. Cash’s career has spanned financing and restructuring transactions across a variety of industries, asset classes and structured products. His extensive experience includes the origination, distribution, servicing and management of commercial real estate debt and equity as well as the resolution of syndicated bank and commercial real estate debt. His colleagues and clients consistently seek his advice and assistance with critical path initiatives, strategic assessments and crisis management. The use of this website's contact form does not give rise to a lawyer-client relationship. Please do not consider there to be any lawyer-client relationship between you and The Gordian Knot or any of its lawyers unless or until: (i) you have sought to retain us; (ii) we have had an opportunity to evaluate and clear any conflicts; and (iii) you have received a letter from us confirming the retention and its scope. Do not use this website's contact form to submit confidential or proprietary information. Thank you for your interest in The Gordian Knot. I will respond to your email at my earliest convenience. NOTICE: Use of The Gordian Knot's website contact form does not create a lawyer-client relationship as more fully set forth on the site.